Colorfuldogs is Hoboken and Jersey City's preferred pet care company. 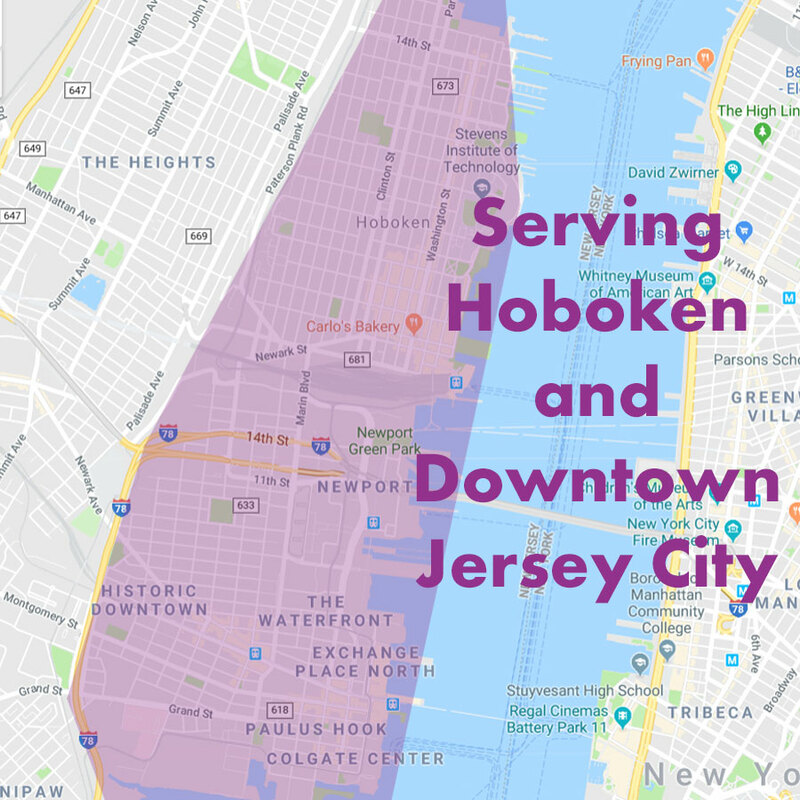 We've got your dog walking and pet sitting needs covered in Downtown Jersey City (Paulus Hook, Van Vorst Park, Powerhouse Arts District, Harsimus, Hamilton Park and Newport). And of course in Hoboken! Take a look at our five-star reviews. We're Colorfuldogs, proudly serving the community since 2004. Trusted dog walkers and pet sitters. Visit our contact page and become a client today. Or call (201) 699-8343.